Come and join the fun with the amazing Design Teams from Lindy's and Imaginarium Designs.. combining their creative forces for a massive blog hop and it's starting RIGHT HERE and RIGHT NOW! There are prizes galore and so many stunning projects to inspire you! 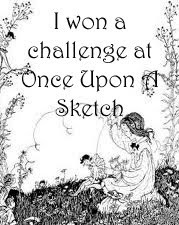 It's so easy to play along and be entered into the draw. 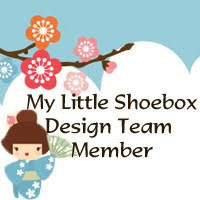 All you need to do is leave a comment on the Lindy's Bog and then hop on over and check out each of the designer blog posts (please leave them all a little love as they each work incredibly hard to bring you all amazing projects!) 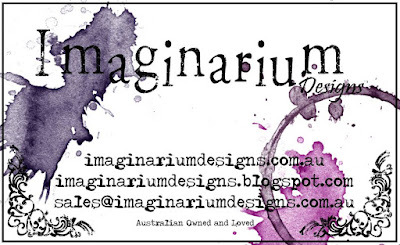 and finish over at the Imaginarium Designs Blog by leaving a comment there. Prize Winners will be announced everywhere on October 30th - check back in to see if you are a WINNER. 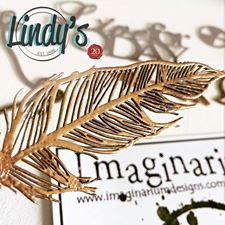 Hop on over and check out these stunning projects using Lindy's and Imaginarium Designs products from our super talented Designers. I know this hop is MASSIVE! Ends: Sunday 29th, October 2016 - at the last stroke of midnight!! 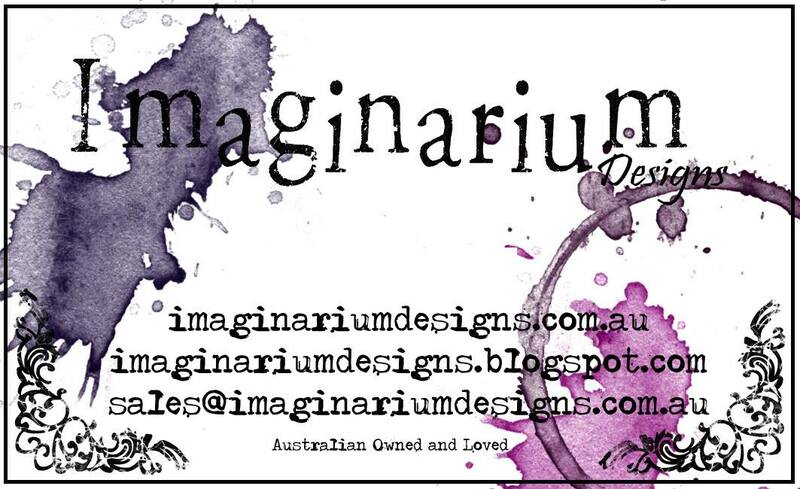 There are 5 x $25 Gift Vouchers available from Lindy's Stamp Gang and 5 x $25 Prize Packs from Imagianarium Designs to win! 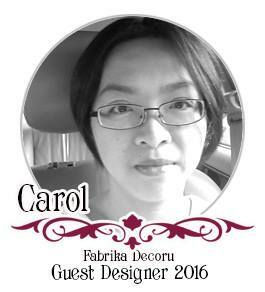 Winners will be drawn randomly from among blog comments. Local and international entries are welcome - this hop is worldwide - abit like our Design Teams! 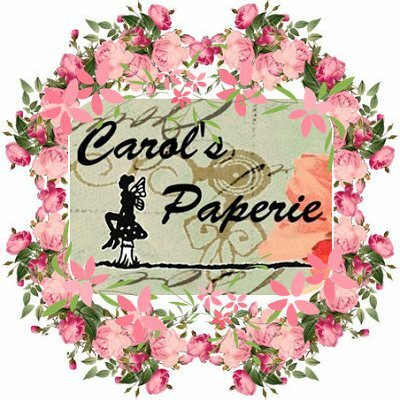 To celebrate this awesome event, I have created this project using Lindy's Stamp Gang Sprays in Canna Lily Burnt Orange, Opal Sea Oats and Magical Powders (Ramblin' Rose Pink & Screamin' Banshee Black) and Imaginarium Designs Chipboards. To create the background, I spread texture paste over stencils then misted with Lindy's Starburst Sprays (Opal Sea Oats & Canna Lily Burnt Orange). For the title chipboard, I gesso it and paint with Lindy's Magical Powder Screamin' Banshee Black and ink edges with black soot distress ink. For the butterfly chipboard, I also gesso it and a light coat of mixture of Magical Powders (Ramblin' Rose Pink & Screamin' Banshee Black). Added crystals to it. Mat all the papers and photos with black caradstock. Love how they pop out. 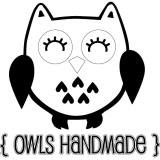 Hope you love my project. Now hop over to Caroline Elliam. Have fun. Beautiful layout, I love the spray on your background, really good work! Ooh! Such fun and fresh colors! Lovely! Really prettt page- thanks so much for sharing. gorgeous Carol!! I love how you have coloured the chippies!! Beautiful project! Love the colours. Such a lovely photo of the sweet girl. Also i think the chipboards are stunning! Nice looking background to show-off these pretty photos! 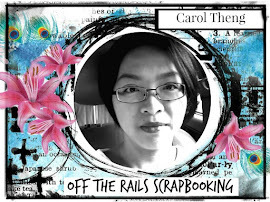 Such a pretty layout Carol, the colors are beautiful!! beautiful pictures and showcased perfectly. Absolute perfection!! You have done just the right amount of embellishment and colorizing to really make these stunning photos be the stars of the show!!! TFS! 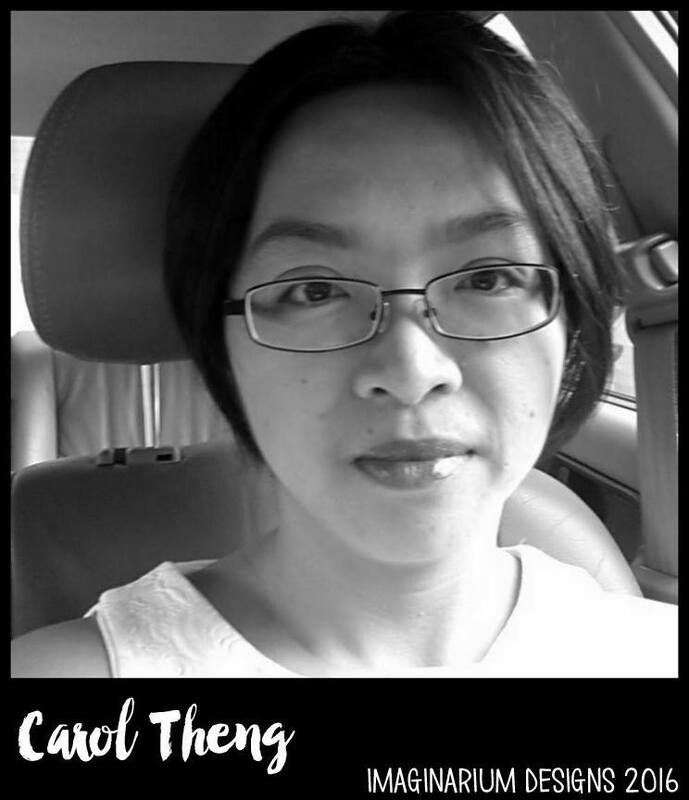 Love your background work! Beautiful layout!